How does New Generation work? It super cleans the scalp then penetrates and stimulates the hair follicles to encourage cell division. Blood circulation improves around the follicles so cells get the nutrients and energy needed to create the optimum environment for healthy hair growth. When should I start using New Generation? 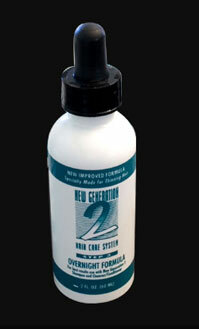 New Generation provides the optimum environment for healthy hair growth. You do not need to wait until you see fall out or your hair begins to thin. The sooner you provide the environment for the healthiest hair growth the sooner you will have the healthiest hair possible. How often should I use New Generation? New Generation is designed for daily use by men and less often by women. Women have a thinner scalp and achieve optimum results by using the product twice a week. Results vary with different people. In about 3 ½ to 4 weeks you should see a decrease in excessive hair fall out, which means, less hair in your comb or drain. It reverses you back to your normal fall out so you don’t continue to bald. New growth appears in about 8-12 weeks. You begin to see fine baby hair that grows longer and thicker. The speed of results depends on each individual and consistency in use. Be patient and follow the directions. Can anyone use New Generation and who will it work for? Anyone can use New Generation: People of all races, men and women, young and old alike have achieved favorable results. Does New Generation work for everyone? No, unfortunately there have been people in our studies that it has not worked for. But, there are hundreds of thousands of satisfied people that have and are achieving excellent results with New Generation. With the results from the studies, the testimonials from our customers, and the money back guarantee, what have you got to lose? What are the chances that New Generation will work for me? According to the scientific studies 110 out of 173 people had new hair growth. Almost everyone using New Generation has less hair fall out. More importantly, New Generation has been in business for over 20 years with original customers still using the product with successful results. Will New Generation work on African American hair? New Generation works for people of all races, men and women, young and old. Will New Generation work for people with hair transplants? Yes. It helps the new hair coming in and it helps the hair grow around the plug. Can New Generation products be used while I wear a hairpiece? Yes. However, if you experience difficulty with your adhesive, experiment a little. Alternate the areas where you apply the New Generation Cleanser/Conditioner and the adhesive. We want you to try our product. We know our product works so we offer a money back guarantee because we want you to have the healthiest hair possible at no risk to you. Why did Dr. Purola choose New Generation? Dr. Purola chose Bob Murphy and New Generation because she has visited New Generation’s laboratory and is confident that only the best quality ingredients are used and packaging standards meet her qualifications for cleanliness. How do I know I am using the original formula produced by Dr. Purola? There are a lot of products that claim to use the Helsinki formula, but, only New Generation in the United States has the precise formula and has been given the exclusive rights by Ilona Schreck-Purola to that formula. Why were the studies done in Helsinki instead of here in the United States? Scientists at the University of Helsinki were studying skin cancer and while cleansing the scalps of skin cancer patients they noticed some of these patients had new hair growth and a decrease in hair fall out. The studies continued with those scientists at the University of Helsinki. Is New Generation a Drug? No. There are no drugs in the New Generation Hair Care Products. Does New Generation have any side effects? No! New Generation is not a drug, contains no hormones and the ingredients have been proven safe in laboratory testing. New Generation is hypoallergenic. Could the product be harmful in anyway? No! It is absolutely harmless. It is not a drug, non-toxic, is hypoallergenic and is actually used, to a lesser degree, in food processing for breads, cakes, mayonnaise, etc. So, if it is safe enough to eat it’s certainly safe enough to put on your head. How do I use New Generation Cleanser/Conditioner? Shampoo, towel dry, put a few drops of the Cleanser/Conditioner in your hands and apply to hair and scalp. Experiment with the number of drops to achieve the look you want. What is the correct amount of New Generation Cleanser/Conditioner to apply? The Cleanser/Conditioner is designed to moisturize your hair and scalp. You should know after a few uses how much product is right for your hair. If your hair appears too oily you’ve used too much; if your hair appears too dry, you’ve used too little. You will adjust the amount you use to your particular hair. Experiment with the number of drops to achieve the look you want. How do I use New Generation Purola Overnight Formula? Put about 15 drops of the Purola Overnight Formula on your scalp at night, rub in, and leave in while you sleep. When you wake up shampoo your hair, towel dry, and apply the Cleanser/Conditioner by putting a few drops in the palm of your hand, rubbing your hands together, and rubbing it into your hair. Leave the Cleanser/Conditioner in your hair all day. Repeat this process every day. Can New Generation Products be used with a dandruff shampoo? We ask you not to use any other products with New Generation since we don’t know what could be counter-productive to our ingredients. You will find you won’t need to use a dandruff shampoo since the Cleanser/Conditioner itself will moisturize your scalp and help prevent dryness and flaking. Can I use a blow dryer on my hair? Yes. Towel dry after shampooing, apply the Cleanser/Conditioner, and then dry your hair with a dryer set at medium or low. Can I use hair spray with New Generation? We don’t recommend using hair spray other than our own Grooming Mist, simply because we don’t know all the ingredients that go into all the hair sprays on the market and some ingredients may be counter-productive. New Generation Grooming Mist is specially formulated to be used with the other New Generation products. Should women use New Generation differently than men? Why don’t I get a lot of lather during my shampooing? The specially formulated New Generation Shampoo is very light lathering and thoroughly cleansing. Our shampoo purposely does not have unnecessary additives that create a lot of lather. Many of those additives may counteract with the cleansing and moisturizing effects of the New Generation Cleanser/Conditioner. Why does my hair become tangled? Normally, shampoo and conditioners are applied in the shower so that your hair is tangle-free before you towel dry and style. Since New Generation Cleanser/Conditioner is applied after excessive moisture is removed from your hair, tangling may occur. After towel drying and applying the Cleanser/Conditioner as directed, simply comb through your hair and gently separate any tangles with your fingers. It may take a little longer to achieve your desired results. What happens if I go swimming? After swimming simply reapply New Generation Cleanser/Conditioner. Why does my Cleanser/Conditioner change consistency? Sometimes when New Generation’s Cleanser/Conditioner sits too long or is exposed to cold temperatures, it may settle and solidify, therefore, it is advisable to keep it at room temperature. If it does solidify, put the bottle in hot tap water for a minimum of five minutes, and then shake vigorously before using. Please be assured that any extreme changes in temperature will not affect the quality of our product. 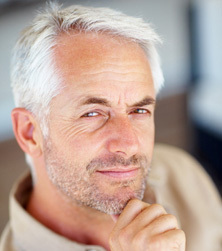 Male pattern baldness is what most of us have that are losing our hair. It is a hair loss pattern that is passed along family members through heredity. In any given day one can expect to lose about 50-200 hairs, which are normally replaced on a regular basis. More important is not what you are losing but what you are replacing. In almost all cases New Generation puts you back to whatever your normal fall out was. Will New Generation cause increased hair fall out? New Generation will not cause the hair to fall out any faster than normal. You may see an increase in hair fall out the first few days of using it but all you are doing is cleansing out hair that was going to come out next week anyway. What role does nutrition play in the hair growth process? Due to the fact that new hair cells divide every 12 hours, it is apparent that the hair root is in constant need of good nutrition and good blood circulation. What can I do about thinning hair? Pay close attention to your own physical health, family history, and your scalp/hair growth environment and try to work on resolving the problems of disease, poor scalp condition and stress as quickly as possible. As you consider all the factors involved in your particular situation, you will usually be able to select a course of action that will help. What should I tell my husband or boyfriend about New Generation? Of course you want to share the excitement of New Generation especially with someone you care about and love. If they want to stop their hair loss and gain new hair growth, with the money back guarantee, they have everything to gain and nothing to lose. Of course, you should tell him that you will love him whether he goes bald or not!